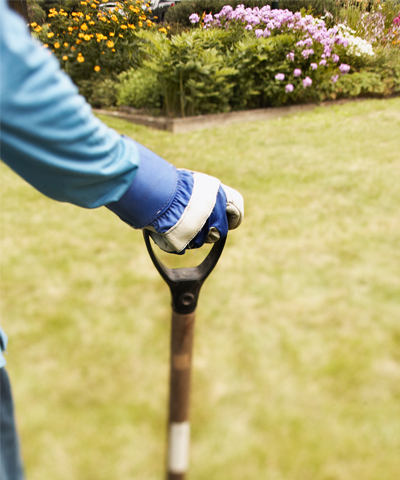 We offer total lawn care and garden maintenance to keep your garden looking brand new. Huddersfield Gardening Services can take care of your gardens lawn, bushes, weed control, shrubs and even trees which can often become overgrown taking over entire sections of your garden. Our gardening team can take care of any job no matter how big or small with our specialist tools and equipment to maintain your garden space taking all that stress away with weekly, bi-weekly or monthly visits available. We are committed to providing a professional service for all our customers by exceeding their garden maintenance needs with quality, reliability and value. We understand weeds are never a pleasant sight for any home owner and even a single weed can spread and disrupt the appearance of a well-maintained garden. Take advantage of our weed control service ideal for getting rid of the most common and most stubborn weeds in your garden. It's vital to make sure that your footpath, car park and access roads are safe when the temperatures fall below freezing. Snow and ice can cause massive disruptions and Huddersfield Gardening Services can reduce the risk for you with our grit spreading services. Huddersfield Gardening Services provide correct cutting of all bushes and trees keeping them tidy and trimmed all year round helping to maintain their health and aesthetic appeal whilst preventing disease and insect problems to develop. Huddersfield Gardening Services team are specialist in all areas of garden services, Our strong values mean that we care about our customers and give advice were necessary in-order to achieve the best result for your project. We always pay close attention to detail no matter how small the job, ensuring your garden is in top condition when we have finished with all rubbish and debris removed and disposed of in the correct manner.